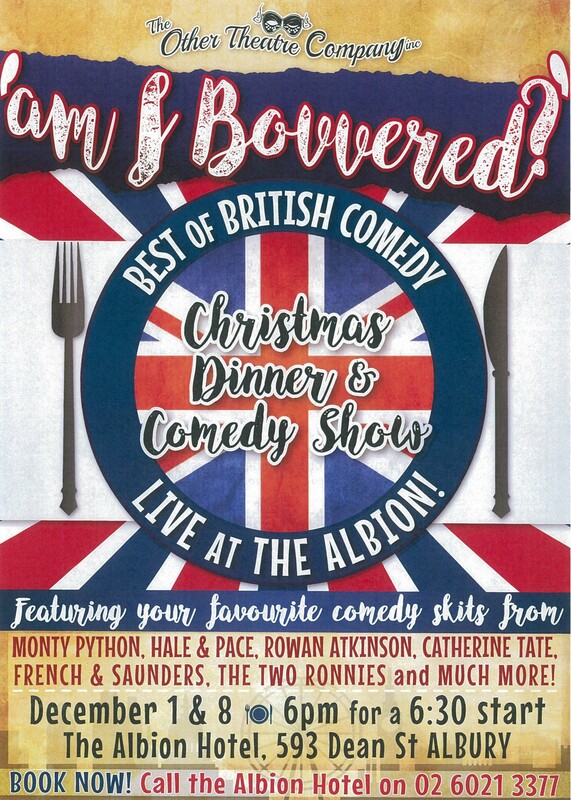 The adults only dinner and show aims to present a fun filled night with sketches from The Catherine Tate Show, The Two Ronnies, Monty Python, Rowan Atkinson, Little Britain and Hale and Pace. Relive the four candles, argument and dead parrot sketches and find out if Lauren can be “Bovvered”. 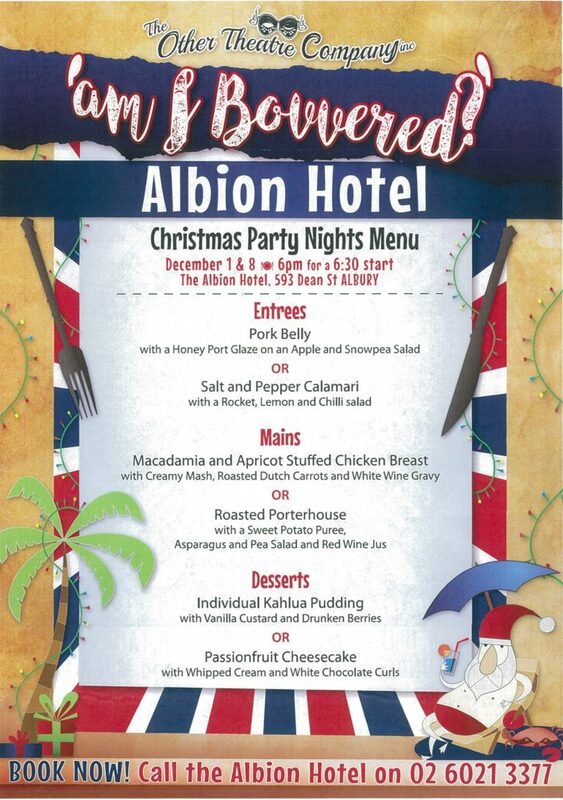 The show is designed to entertain you in between the delicious 3 course meal on offer from The Albion Hotel.